The cupcakes were created for one of the lovely ladies I work with who was leaving to go onto maternity leave. Her favourite style of cake is Black Forest but being a work party I wanted something a little easier to share. 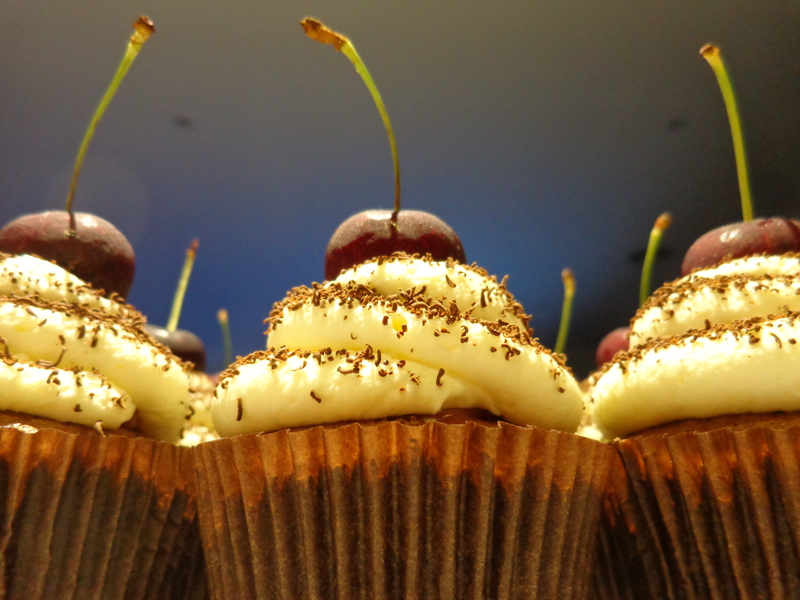 Hence breaking down the key elements of a black forest cake into a cupcake version: chocolate cupcakes, cherry filling, whipped cream, chocolate shavings and of course a cherry on top! These are a real treat and whilst the can be a little messy to eat the flavours all meld together to create a very moorish indulgence. If your after something that has your workmates, friends and family going back for seconds this is the receipe for you!